Write and present a memorable wedding toast with this light-hearted, humorous guide that gives you all the tools you’ll need for a successful speech—the perfect gift for any best man or maid of honor. As much as it’s an honor to be chosen as the best man or maid of honor at a wedding, giving the perfect speech can sometimes be nerve-wracking. Delivering a crowd-pleasing toast at the reception that has the right amount of humor and sentimentality is a daunting undertaking, no matter how advanced your public speaking skills are. 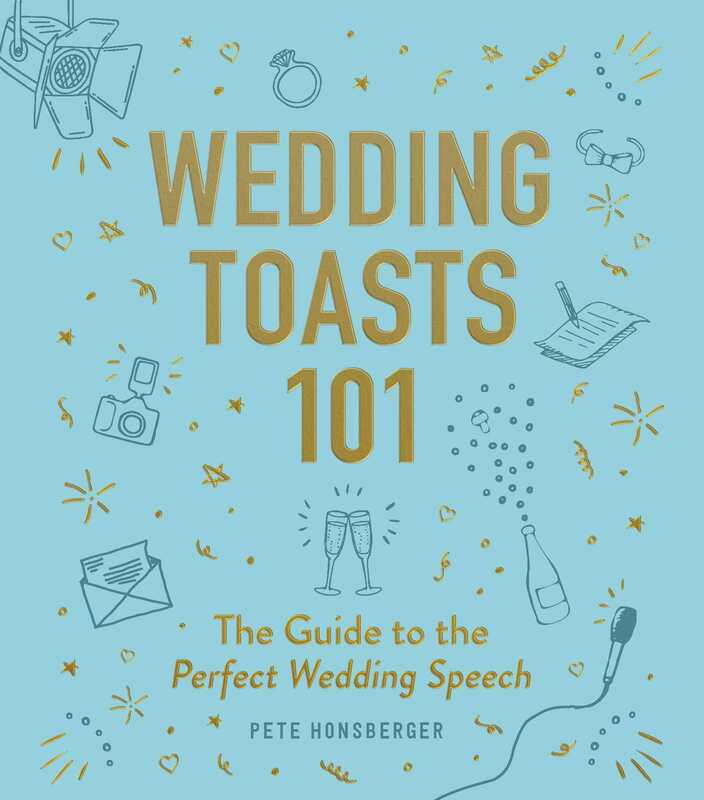 Pete Honsberger’s guide to giving the perfect wedding toast provides even the most nervous of public speakers with all the tools and advice they need for writing and presenting the best toast ever. After witnessing speeches both good and bad, Honsberger shares a few bits of wisdom he’s learned along the way, providing building blocks to creating an unforgettable story along with helpful speech prompts, and the perfect checklist that will turn a potentially scary obligation into a golden opportunity. Wedding Toasts 101 presents a fun and simple way to write a successful wedding toast without all the stress so you can spend less time worrying and more time celebrating the happy couple.